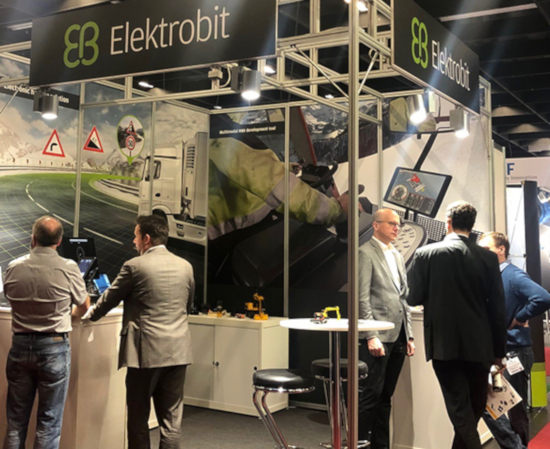 In February, EB exhibited at the Industrial Vehicle Technology (iVT) Expo in Cologne, Germany, showing how our automated driving and user experience solutions are benefitting next-generation industrial vehicles. iVT is actually four conferences in one, headlined by industry heavyweights and featuring more than 80 exhibitors showcasing the latest components and technologies for electric and hybrid industrial vehicles, autonomous industrial vehicles, industrial vehicle cab design and technology and industrial vehicle powertrain. At iVT, we demonstrated EB robinos Predictor, our electronic horizon solution for accurate and up-to-date information about the road ahead. 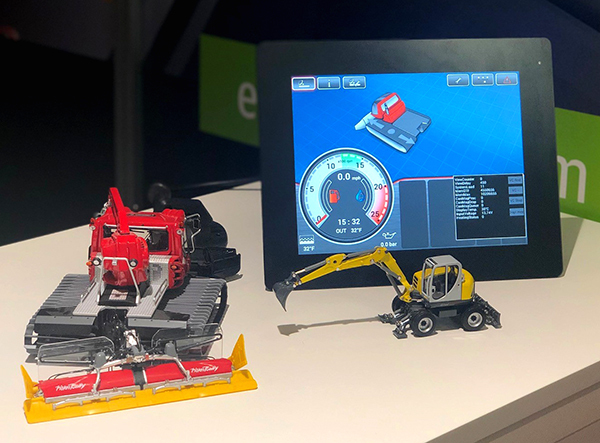 We also had two demos illustrating how our multimodal HMI development tool, EB GUIDE, allows the creation of highly customized and personalized displays, including the HMI-built devices for our customers Caterpillar and Pistenbully. Christian Stellhorn, product manager for user experience solutions, spoke on multimodal HMI development. Stefan Pruisken, business development manager for automated driving solutions and software platforms, gave a presentation on map data as an essential element of the HAD sensor set. Both of their speeches helped to draw more attention to EB among attendees, and many of the people who attended the speeches came to the EB booth afterward to learn more about our offerings. The event was a great success! We enjoyed meeting up with our colleagues, customers and partners in Cologne. Thanks from the EB team to all who visited our booth and attended the speeches. We hope to see you next year at iVT 2020! Download the Community edition of EB GUIDE. Read through our Release Notes. Download the feature demo, SDK examples and custom widgets. Sign up for one of our EB GUIDE trainings now.